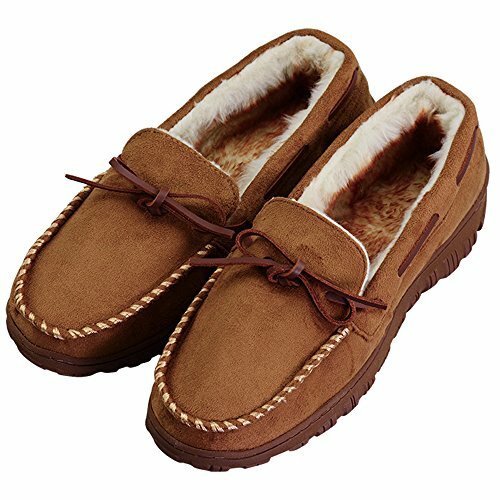 Classic moccasin design combines slip-on convenience with heel-to-toe comfort. Stylish and durable micro suede combined with Memory Foam cushioned insole provides unparalleled warmth and luxurious comfort with every step. Durable anti-slip rubber outsole for indoor and outdoor wear. Hand or gentle machine wash in cool water. Air dry flat. Thank you for your interest in VLLY. It is our objective to provide good quality products with great service at truly reasonable and affordable prices to all of you. Our best spokesperson is a happy customer. Again, Thank You for your support. Durable and anti-slipping rubber sole is designed to walk for a rather long time. Luxury Plush lined insole can keep your feet comfortable and warm, like walking barefoot on wool blankets with a lot softness. If you have any questions about this product by VLLY, contact us by completing and submitting the form below. If you are looking for a specif part number, please include it with your message.